The garden of Villa Saint Raphael B&B : a call to relaxation. This is a very old walled garden with no vis-a-vis. 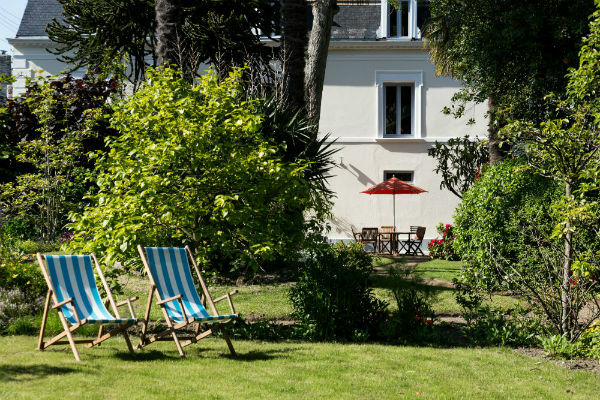 Its numerous varieties of plants and trees bring a touch of the exotic in Brittany. Garden furniture, sun beds and hammocks are available to all. The perfect environment for a break after a busy sightseeing day !